It was hard to watch the 2018 Dallas Cowboys end their season in the Divisional Round versus the Los Angeles Rams. The widely recognized Cowboys’ defense couldn’t find a way to stop the Rams’ running backs. Even still, it was a successful season in many ways. Dak Prescott played well and clearly improved after the team got him a great #1 wide receiver in Amari Cooper. The defense had a breakout season, getting to be one of the best units in the league. Young talent on the team shined bright. Yet, as every year, the season ends with questions. What was the reason the Cowboys couldn't hold their own against the Rams? What are the team's weak spots? What position should the Cowboys aim to upgrade in the offseason? What was the most relevant problem? To answer that last question, I can't avoid thinking of the word "play-calling," which was a huge issue in Dallas both in 2018 and in 2017. But the Dallas Cowboys finally pulled the trigger and made a bigger change in the coaching staff. Offensive Coordinator Scott Linehan has been released as the team looks to change its offense heading into 2019. Also, a change at defensive coordinator could also be next for Dallas considering Kris Richard’s success since his arrival. But let's leave coaching aside for a moment. Let's talk about this team's roster. The Cowboys actually have a talented group of players on the team. Of course, there are needs that must be taken care of, but there aren't really that many positions in which the team requires desperate help. Now granted, the front office will be very busy dealing with in-house extensions trying to extend many players' stays in Dallas. This will be no easy task, but Stephen Jones and company have done a very decent job handling the cap space over the last few years. With much space to work with, there's reason to believe they will get things done. When it comes to adding talent to the team, let's talk about the elephant in the room. The Cowboys lack a first round pick. After all, getting Amari Cooper on the Cowboys had a cost. But hey, thanks to that trade, Dak Prescott's offense has a great set of wide receivers. Michael Gallup continued to grow as the season went on. The offensive line is not there yet, but I'm confident in Connor Williams being a way better player than he was as a rookie. As for the defense, the Cowboys' front seven is one of the most promising in the entire league. Jaylon Smith and Leighton Vander Esch are one of the best LB duos in football. This is a legit football roster. The team needs a defensive tackle, an upgrade at safety and probably a more prepared tight end. They probably could use help at many other positions, but I don't mean to rank the biggest concerns on the roster heading into 2019. However, if the front office fails to considerably improve any of these positions, it'll be far from the worst thing to happen. Whether you like him or not, Jeff Heath has been decent enough to be a starter on the team. He won't be great, but he can get the job done. Defensive tackle wasn't a very big issue with Antwaun Woods and Maliek Collins stepping up all throughout the season. The tight ends consistently improved week after week, featuring Dalton Schultz and Blake Jarwin. Obviously, we want improvements. We want a better player at each position. 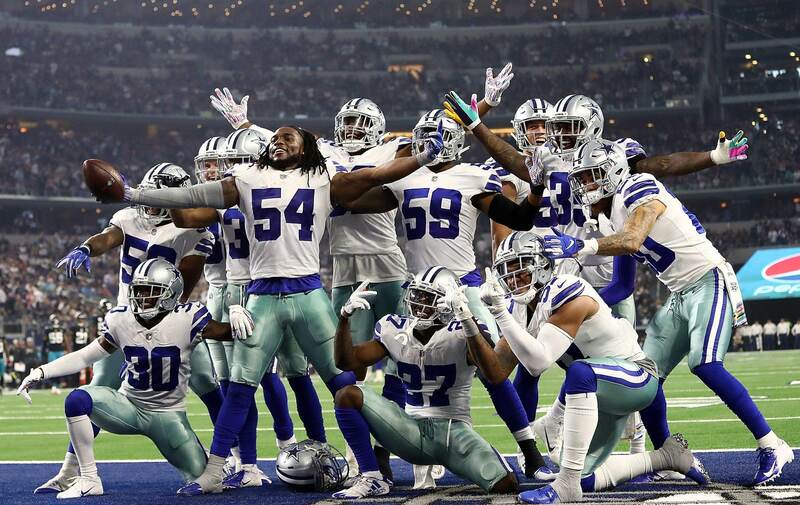 But once the NFL free agency and the Draft comes around, it'll be important to remember that the Cowboys have a good roster and could get wins with the guys they have now. Desperate moves shouldn't really be on their plans. This is a team with enough talent to win in 2019. Assuming Kris Richard earns the defensive coordinator title next season, having two new heads among the staff should be refreshing enough to exploit that talent's potential. Talent should be added, and even big time free agents such as Earl Thomas deserve consideration. But this is not a roster that's desperate. In fact, it's a roster in very good shape. The Cowboys might not have a first round pick, but frankly, they are in a very good position to lack a first rounder. Tell me what you think about "Cowboys Roster Looking Pretty Good for 2019" in the comments below, or tweet me @MauNFL and let’s talk football! If you like football and are looking for a Dallas Cowboys show in Spanish, don’t miss my weekly Facebook Live! show, Primero Cowboys!